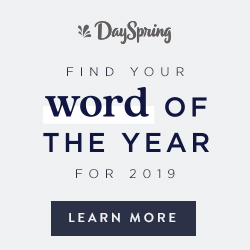 Thanks to Zazzle.com for sponsoring today's post! Hey, y'all! Mother's Day is coming up in just a few weeks, and if you're like me, you always want to get your mom something special. Honestly, I am always on the hunt for thoughtful, personalized gifts that I can give to friends and family members for any occasion. 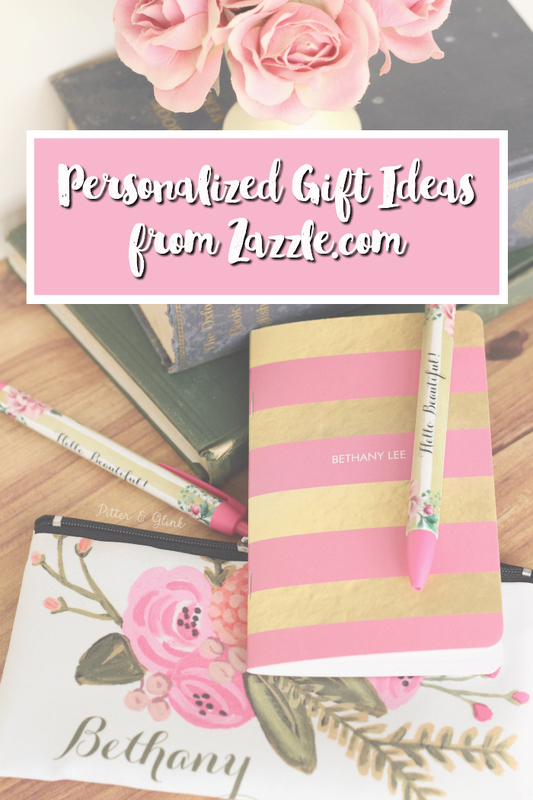 I recently discovered Zazzle.com when they contacted me about a sponsored post, and I was happy to discover that Zazzle has lots of personalized and unique gifts for anyone and any occasion. My favorite thing about Zazzle.com is that if you find a product you like, but you want to tweak it a bit to fit you or your gift recipient more, it's super easy to do. Their website states, "Our products let you add your personal touch to any part of your life. We're passionate about giving you the ability to make your mark on the world through customization, and we believe there is no limit to self-expression. With an ever-expanding array of categories including everything from apparel and paper goods to fabric and food, we're committed to offering the highest quality custom products in the world." This is perfect when you want to find just the right gift for mom. 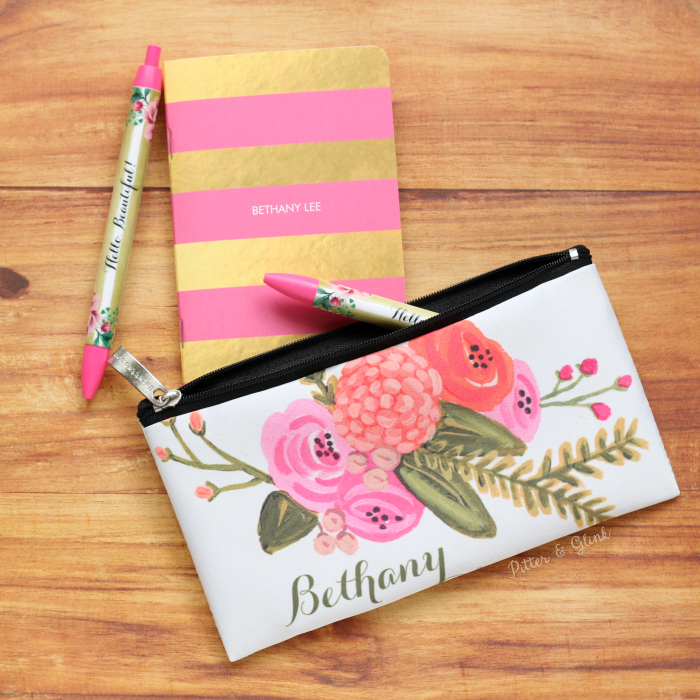 If your mom loves planning, staying organized, or just has a "thing" for office/school supplies, why not create her the perfect writing set, complete with a personalized pencil pouch? I made myself a set that I am in love with. 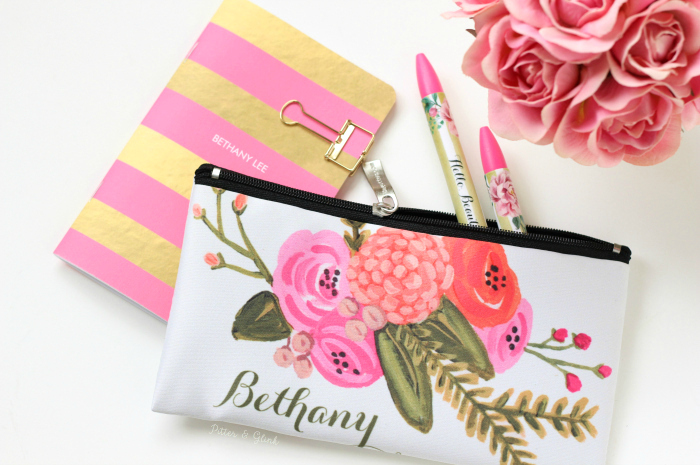 The Vintage Garden Small Cosmetic Bag is the perfect size for pencils. I love the beautiful flowers and the fact that I was able to personalize the bag with my name. 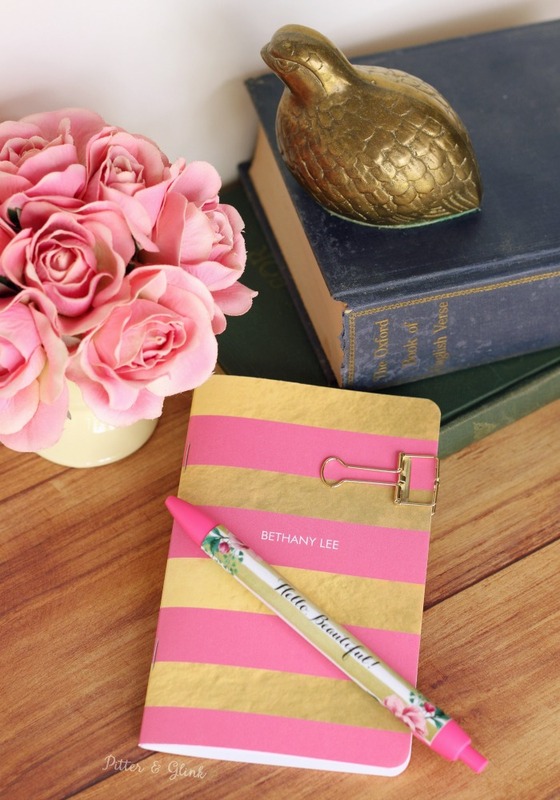 I also love the Pink and Gold Personalized Journal. And the Beautiful Floral Decor with White Gold Strips Black Ink Pen is so much fun! I personalized it with a bit of encouragement. It says, "Hello, Beautiful!" I mean, who doesn't like a pen that tells you how beautiful you are?! 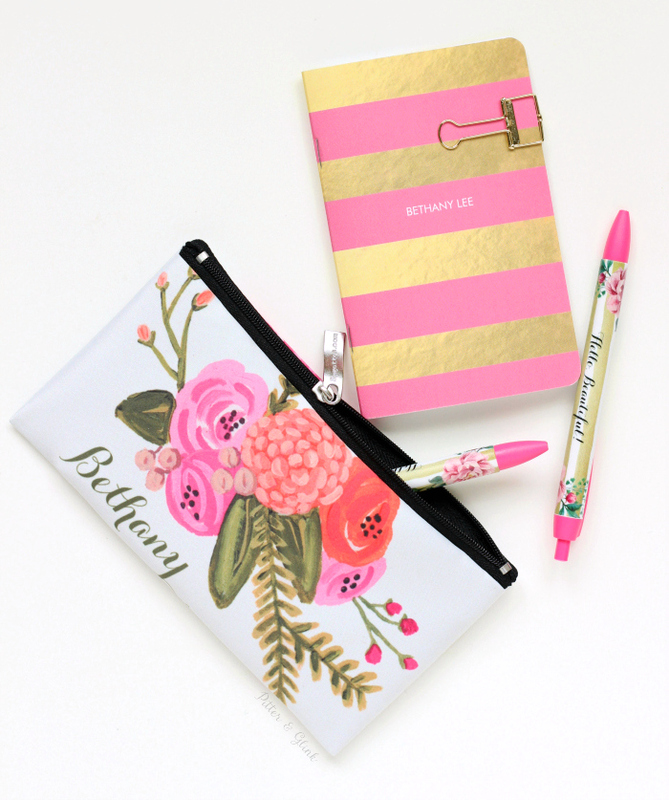 I just love this personalized set of pink goodies, and I know many moms would love something like this as well. But if your mom isn't into office and writing supplies, you can find so many gifts for her at Zazzle.com. Check out some of my favorites below. Aren't they all so cute?! 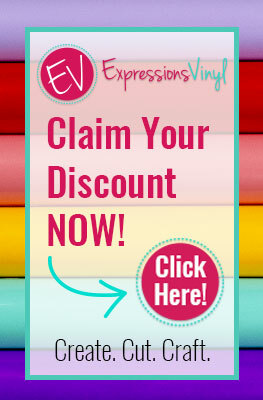 Next time you need a special gift for someone, check out Zazzle.com. If you are especially in the market for a Mother's Day gift, check out Zazzle's Mother's Day gift selection. To keep up with their latest deals and new items, follow Zazzle via social media. Disclosure: I received product from Zazzle.com in exchange for this post, but, as always, all opinions are 100% mine. These are all great ideas! I really love the top pillow! 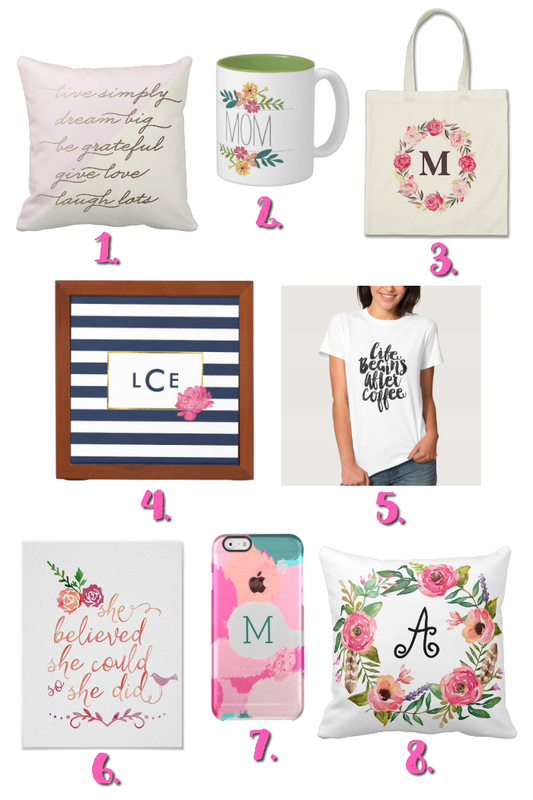 These Personalized Gift Ideas for Mother's Day are very adorable. Liked all of them. Thanks for this great share. It will be quite helpful for me in selecting a gift for my mom’s birthday. I have planned a party for her at Chicago venues. Now looking for great party decorations.